One of my personal heroes passed away on August 25. 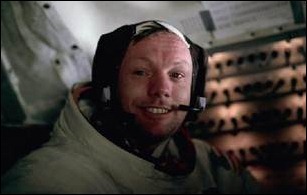 Neil Armstrong’s death was marked in a way that matched the way he lived – quietly and with little fanfare. By commanding the Apollo 11 mission and being the first person to walk on the moon, he had earned the right to be celebrated. We should all take a substantial amount of pride in the accomplishments of his profession. Not to take anything away from the astronauts, but I’m talking about the engineers. NASA’s steely eyed missile men sent people to the moon using chalk boards and slide rules. They didn’t have anywhere near the technology that most of us carry in our pockets today, but they changed the world. Those of us working in healthcare IT today are up to our eyeballs in technology. It feels like things are moving so fast we will never catch up. As hospital leaders, we are challenged to deploy the latest “thing” regardless of quality or outcomes. I have many friends in the medical software industry, ranging from developers to CEOs. The aggregate of their skills and creativity could propel us into a new era of patient care. Instead we seem mired between the twin terrors of governmental compliance and simply improving yesterday’s products. I want to see the software equivalent of the space race, where vendors are competing for the best designers and engineers and working to deliver a superior product. Rather than the challenge of getting a man to the moon and returning him safely, the goal should be to deliver patients safely through the health care experience while we collect all the telemetry data needed to make the next trip with even better safety and quality. Another challenge – it’s easy to forget that as broken as our health care delivery system is, it is still better than what is available in some parts of the world. Let’s figure out how to make those leaps for all mankind. I absolutely agree. As I participate in a documentation redesign, I’m discouraged that the goal seems to be shuffling fields in a cumbersome form that inhibits documentation instead of directing and helping the clinician enter information easily. Little thought is given to form design, work flow, or how the user needs to see the information displayed to truly understand the patient’s story. I know this is only a little piece of what you are describing but there has got to be a better way than what we are struggling with today.